Leg tattoos have been prevalent since historic times and in today’s day and age it is a craze among men and women. 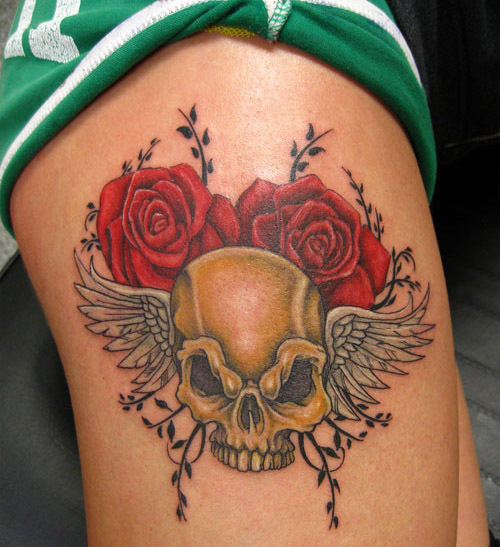 Leg tattoo designs can vary in their coverage area with some of them starting from the thigh and ending at the ankle. Leg tattoos mostly common amongst women look quite remarkable and draw considerable amount of attention. 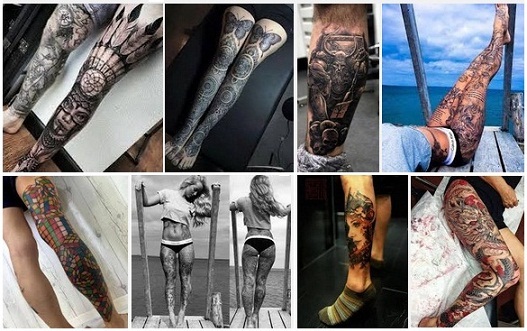 For your comfortability we are given here the 15 best leg tattoo designs for women,men and girls along with images and meanings. Looking for tattoo designs for girls? 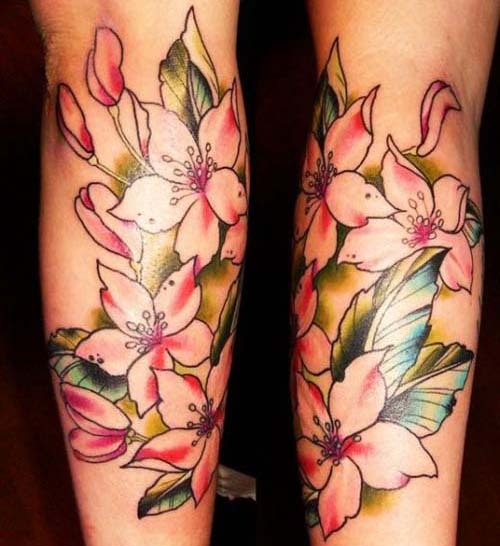 Here, we have a beautiful leg tattoo for girls which displays a floral pattern. Anyone would love to sport this beautiful tattoo design done with green ink. It looks more like a mehndi, which is an Indian art also done on the bodies. 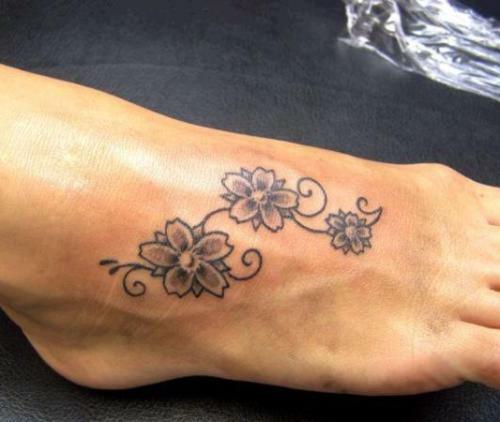 Since women love to sport tattoos on their legs, this one has been intended to make their feet look more alluring. Every girl craves about doing tattoos on their legs. This design will fulfill the crave for leg tattoos. Who wouldn’t want to sport this alluring floral tattoos on their legs? The tattoo will go hand in hand with cleaned feet. 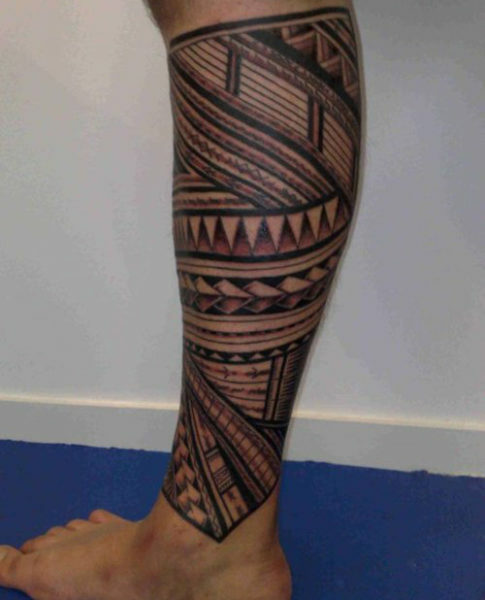 This tribal leg tattoo is suitable for both men and women. 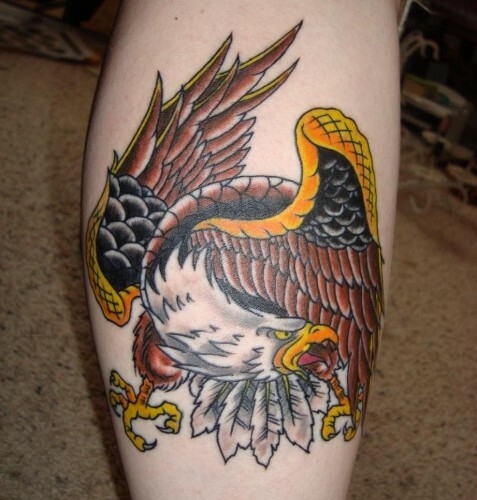 The tattoo shows the face of an eagle which is a very intelligent bird and a cruel one as well. It can be said to be the king of the skies and as we can see in this particular design, a crown of leaves has been done on the head of the tattoo. The tattoo will make you look unique and display your taste for distinctive stuff such as eagles. According to some tribal people, this symbolic eagle tattoo on the legs can be a bearer of good luck. Which girl wouldn’t like to tattoo their legs? Here is a beautiful glamour tattoo on the leg which is one of the mostly done tattoo designs for girls. By looking at the beauty of this designs, it can be said that a lot of hard work has been put into tattooing this design. 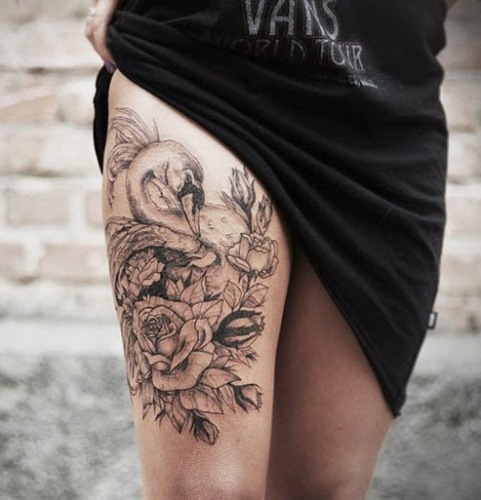 This is one of the best tattoos that a girl can flaunt on her legs. The design is so beautiful that any girl will easily fall in love with it and want to get it on her legs. 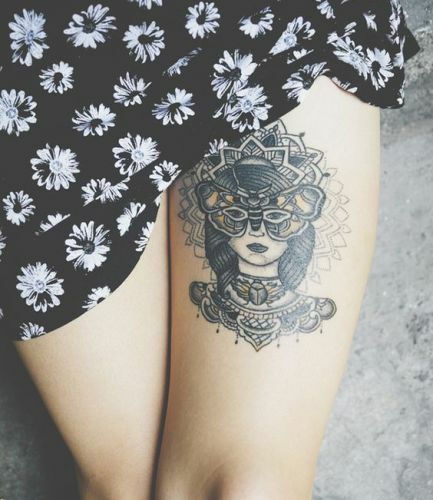 This particular tattoo design for girls on the legs is so amazing. The tattoo has an artistic touch itself which makes it look so unique. Girls love carrying this small yet beautiful design on their legs. The thighs seem to be the perfect background for doing this tattoo. One can apply a number of inks to this tattoo. But since it comes with a dark theme, black seems to be the best and the only ink suitable for fulfilling the requirements of the dark theme. Flowers are most symbolic of all things bright and beautiful and when incorporated in a tattoo design they radiate charm and grace. Flowers are usually associated with femininity and so when it comes to tattooing, they are almost always the first choice among women. The flowers depicted in this elaborate pattern are paired with butterflies that could easily symbolize the transformation of life into its youthful bloom. Mermaids represent beauty, sensuality and destruction and these mythical beings have found their way into the creation of tattoos. 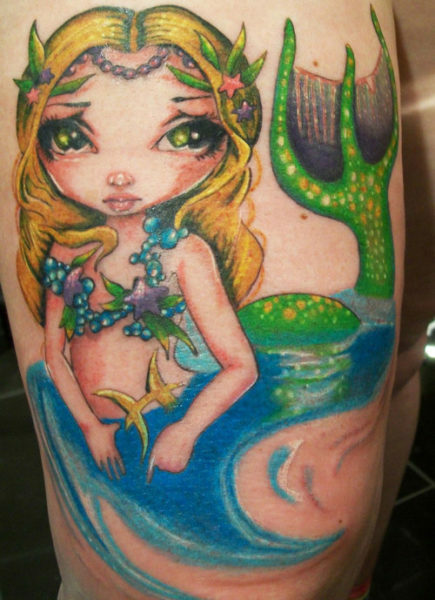 Also signifying freedom of life, mermaid tattoos are worn by both men and women alike. They make for colourful designs and have their own charm about them. If you are tattoo crazed you may want to consider going in for a sleeve tattoo. 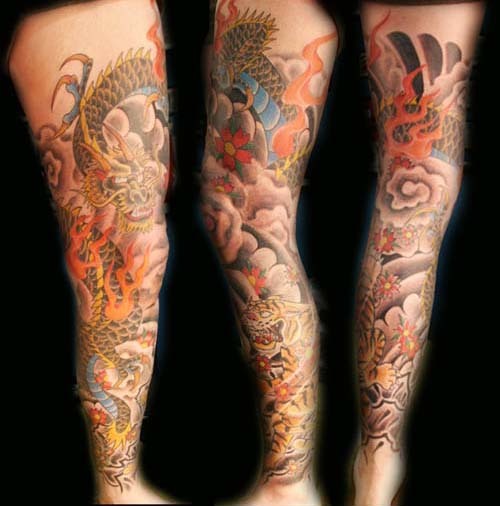 Sleeve tattoos designed on the leg cover the entire leg area starting usually from above the knee down till the ankle. Sleeve tattoos can portray a wide range of themes as they have a large coverage area. The legs are an ideal place for those wanting to don a tattoo but at the same time wishing to conceal it from the public eye. Bow tattoos are an obvious choice among women because of its feminine appeal. Bows have always been a fashion statement since time immemorial. 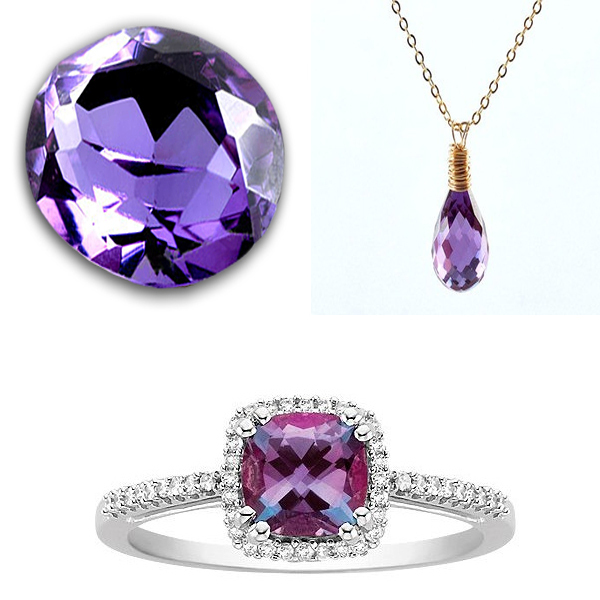 They look stylish and embody a woman’s femininity. With the corset look back in fashion, the corset bow tattoo on legs seen here with its delicate touch is reminiscent of ladies in high society exuding elegance. 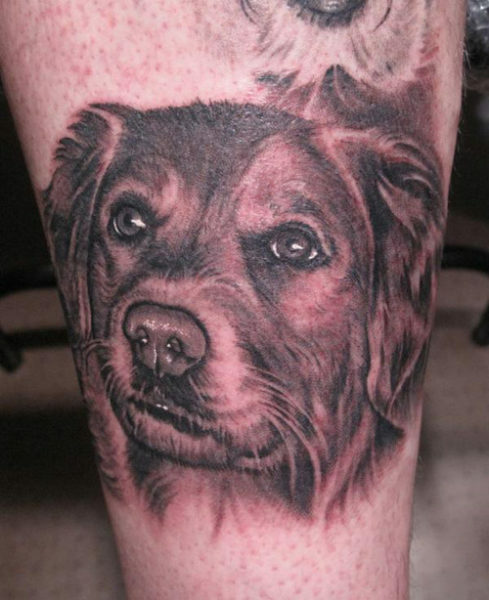 For animal lovers around the world nothing can come close to having your body marked with a permanent image of your pet animal. Dogs are a man’s best friend and this statement finds it mark in the form of a tattoo design. Memories last forever and more so when they are etched on your skin. Plainly done in black and white, the tattoo is a tribute to the owner’s dog Rocky whose name itself signifies it as being a rock or pillar of strength to its master. Who doesn’t like to get tattoos on the legs? 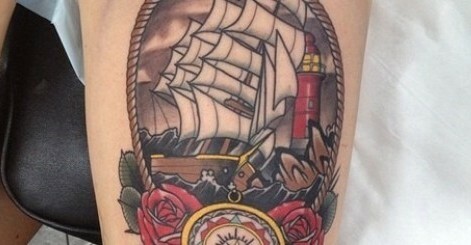 This leg tattoo for women is done a little below the thighs. The colorful feature about this inked motif makes it look even more alluring than it actually is. Any girl would love to sport this designs on their legs. The tattoo can be flaunted by wearing short bottoms or mini skirts. For getting the best out this tattoo, it is recommended that you have toned legs and you get the tattoo done by a professional tattoo artist. Don’t we all love the Dart Knight? Some just can’t get enough of him that they have gone the extra mile in getting him permanently marked on their body. 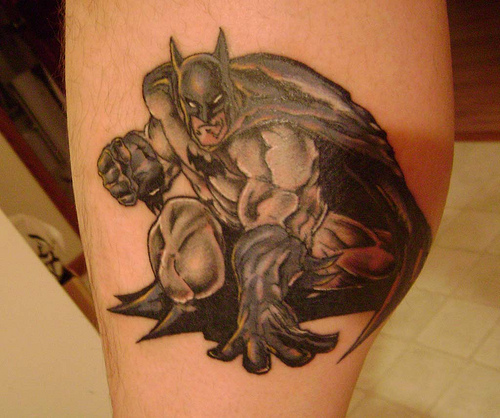 Seen here in its finest detail, this tattoo has truly done justice to the caped crusader. This tribal tattoo design is intended for men. It can worn on the arms as well. But since, we are discussing leg tattoos, let’s assume that it will look best on the calves. Here, the native tattoo shows off a beautiful design which looks so vibrant and unique and can be one by almost any man. The tattoo depicts a masculine character which will make the wearer look unique and differentiate him from the crowd. 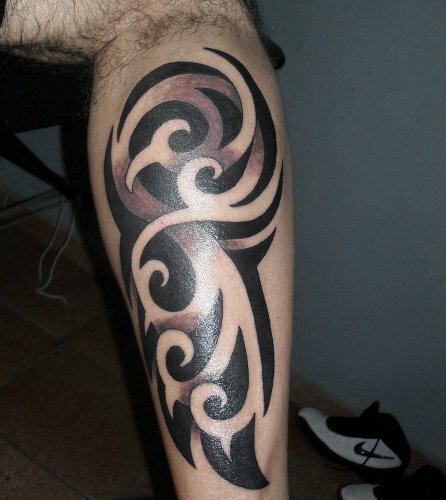 Tribal Tattoos are one of the most popular designs chosen for the legs. In ancient times it was believed that these tattoos represented the tribe of the holder or the rank of the tribe he belonged to. Tribal tattoos are unique in that they each have a style of their own. 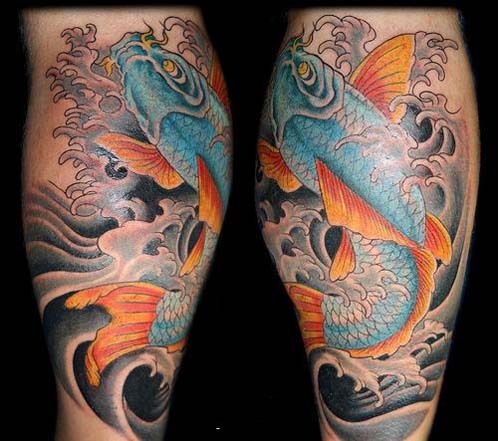 The Koi fish tattoo is a predominant choice among men and women. Bred for their colour and beauty and valued for their fascinating appearance, they make a remarkable choice for a tattoo design. These fish are also considered by the Japanese to bring good luck. It is no wonder that many people opt for the koi fish as a tattoo design and when done on the leg it is simply eye-catching. Skull tattoos are a very popular design. Mostly done with roses on legs they invoke a sense of life and death. This symbol of duality is a constant reminder of good and evil, beauty and decay and for some it has an even deeper rooted meaning that from death comes life. Tattoos on legs look really cool. If you’re getting one done, then you have to make sure hat you get the best one suitable for you. The list above has hopefully assisted you in making up your mind regarding what kind of leg tattoo would you want to get.